Headlines, hot news, and conversation starters on August 7, 2017! 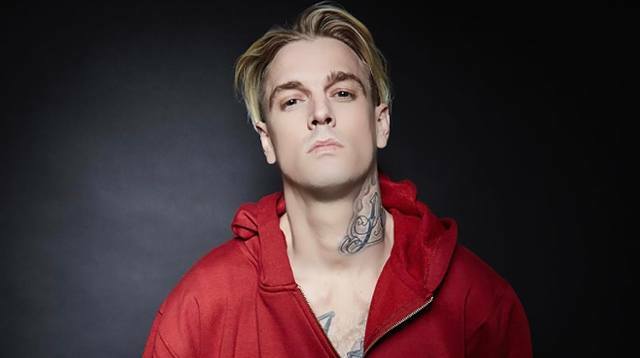 1 In a lengthy Twitter post over the weekend, Aaron Carter sent a heartfelt message to his fans revealing that he's attracted to both men and women. "There's something I'd like to say that I feel is important for myself and my identity that has been weighing on my chest for nearly half of my life," he wrote. "This doesn't bring me shame, just a weight and burden I have held onto for a long time that I would like lifted off me. I grew up in this entertainment industry at a very young age and when I was around 13 years old I started to find boys and girls attractive. There were years that went by that I thought about, but it wasn't until I was 17 years old, after a few relationships with girls, that I had an experience with a male I had an attraction to who I also worked with and grew up with." 2 Claudia Barretto was a total princess during her debut on Saturday night at White Space, Makati. The debutante wore a ~dreamy~ Mark Bumgarner ball gown for the night’s festivities and later on changed to an Atelier Patty Ang feather dress. Happy Birthday, Claudia! 5 YouTuber siblings Ranz and Niana Guerrero just released their first album LITUNES in the first week of August. The album, distributed by US-based music label Heard Well, is a compilation of the songs "[they] listen to when gettin' lit." You can download the tunes here!